While Tuscany has been getting worldwide attention, its nearby sister is getting the cold shoulder. But who said that Tuscany is the only pearl of the Italian countryside? The region of Umbria offers just as much beauty, wine tasting, relaxation and charming Medieval towns as its popular neighbour! It’s simply a bit shy, but when you get to know it, you’ll completely fall in love with it. 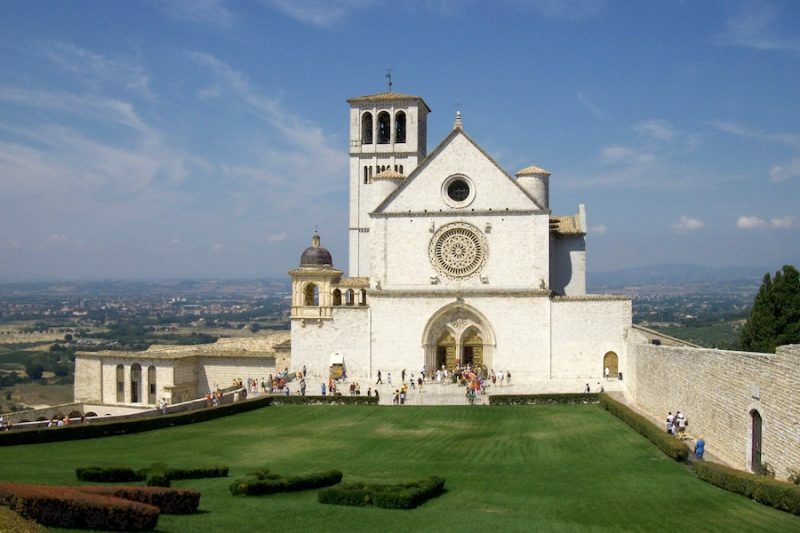 And the jaw-dropping UNESCO World Heritage town of Assisi is the queen in terms of beauty, scenery and history. 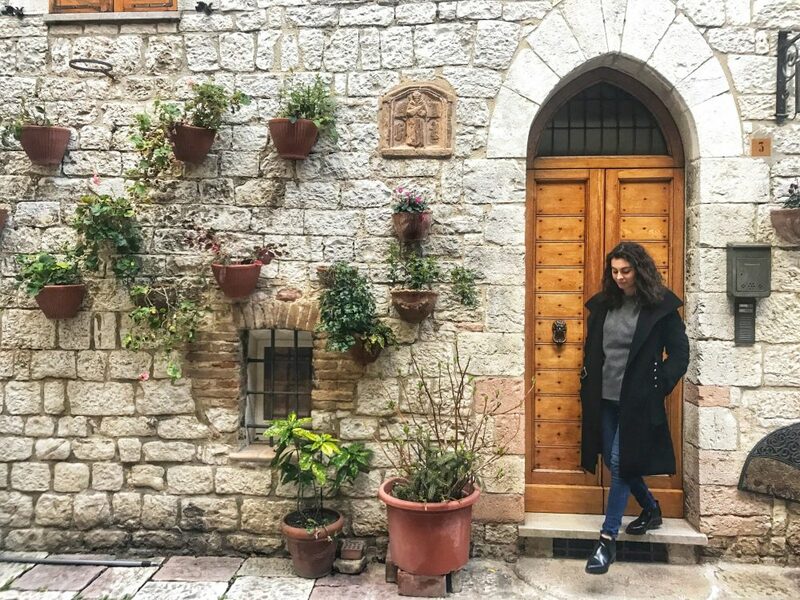 Whether you’re staying in Umbria for a weekend, or you’re visiting on a day trip, visiting the town of Assisi is a must! 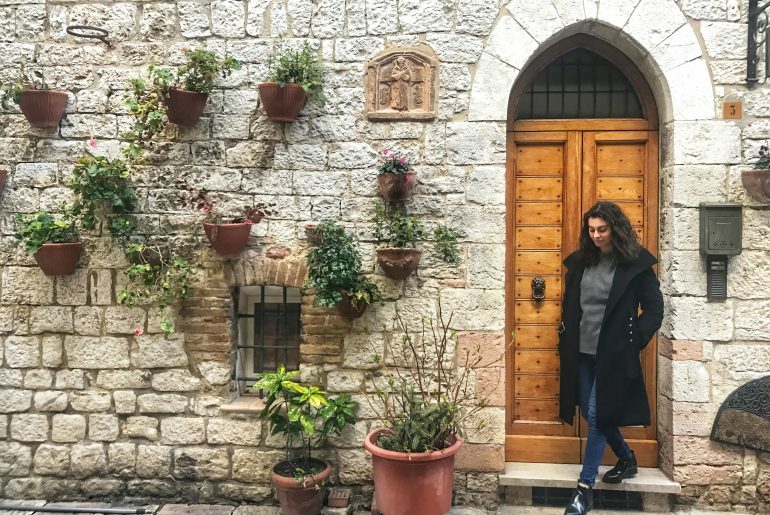 Here’s everything you need to know to spend a perfect weekend in Assisi. you can easily reach Assisi by train. If you’re coming from Rome, you need to take the regional train from Roma Termini Station to Assisi, which will take from 1.4hr to 2hr depending on your time of departure. Make sure to book the direct train to avoid having to change trains. If you’re coming from another Italian city, you will most likely have to get a connecting train either in Rome or another station. Once you’ve arrived at the Assisi train station you can take a taxi, which will cost you around €15 or the bus, you have to purchase the tickets in the newspaper store inside the Assisi station. You can book your train directly on ItaliaRail, partner of Trenitalia. They offer a 100% all-English website to make it easier for you to book tickets. They also have competitive prices, 24/7 travel assistance, a lounge in Roma Termini where you can wait, and travel insurance that you can purchase. 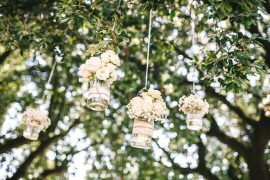 Additionally, if you’re a big group, it’s great as you can book for up to 20 people! The outstanding Piazza Santa Chiara is a must-see piazza. Here you will see a fantastic panoramic view of the Umbrian countryside that will simply make your jaw drop. And of course, don’t miss out on the fabulous Basilica di Santa Chiara, the church dedicated to St. Clare, a follower of St. Francis of Assisi. This Piazza is the center of Assisi and it’s a major example of medieval Umbrian architecture. The Roman Temple of Minerva has been transformed into a church and a footstep away, you will find the underground Museum of Roman Assisi, excavated because the medieval assisi was built on top of Roman Assisi. Here you will get a feeling of how Roman life was. From piazza del comune all the roads lead down to St. Francis’s Basilica. 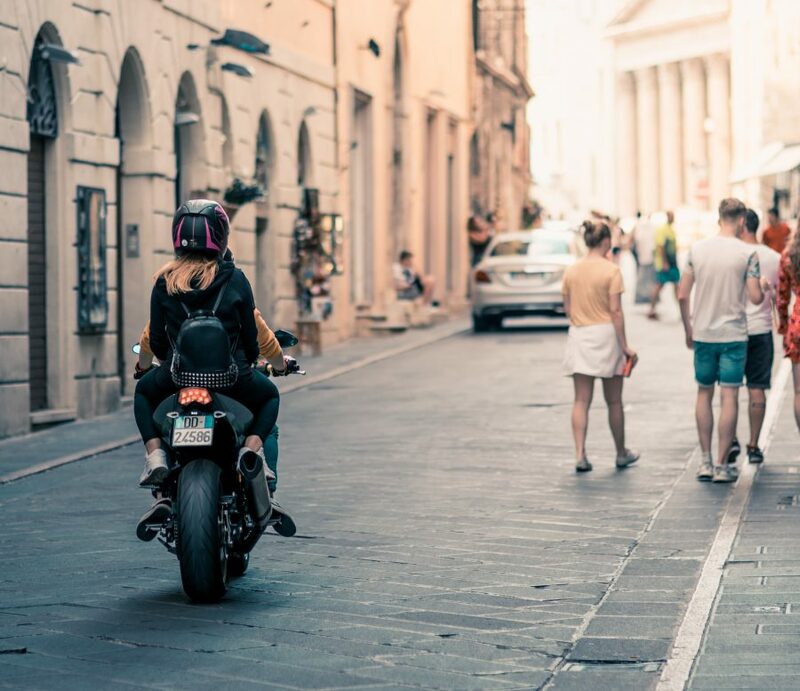 If you choose the road on the right (on the side of Temple of Minerva), you will have very nice views of Santa Maria degli Angeli, Perugia and the countryside. If you go down Via Portico you will get more of a town vibe and less views. The Basilica of St. Francis is a masterpiece in its own, inside you can admire the frescos of Giotto. If you like nature, don’t forget to take a hike in the Bosco di San Francesco, there is also a nice restaurant, il Mulino, where you can stop by to have a delicious lunch. 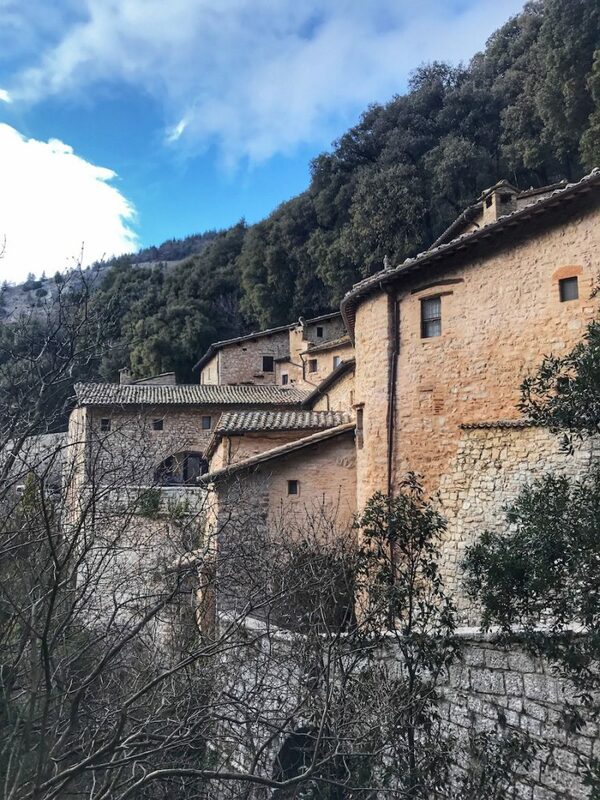 Four kilometres above Assisi on top of the Monte Subasio (there is a trail for those that like to walk) is the ere delle carceri, a hermitage. In the 13th century, St. Francis of Assisi came here to prey and to contemplate. At a stone bridge the oak till exists, in the branches of which birds were living, whom S.Francis had preached to, as the legend tells. It’s a fabulous place to see, a must! Assisi is a tricky one for eating, as there are so many pilgrims and tourists that sometimes you may end up in a tourist trap. 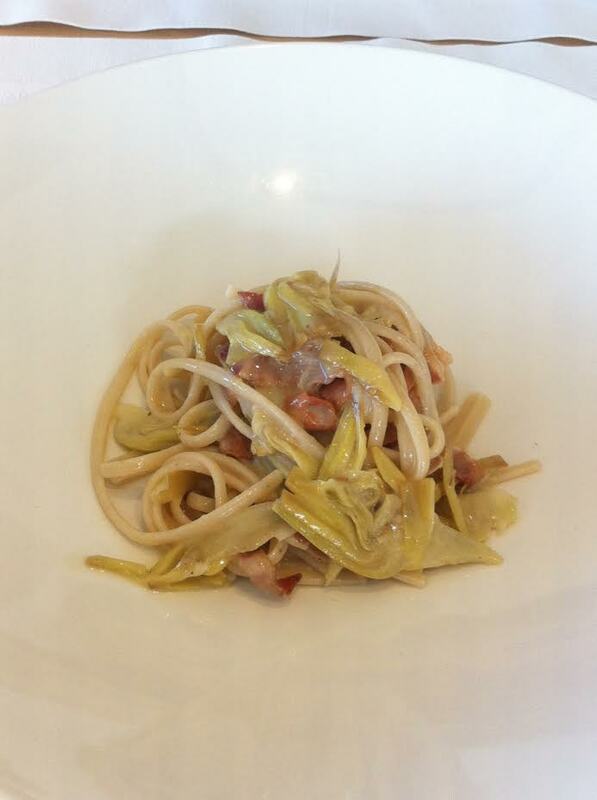 But these are absolute delicious restaurant that will make you fall in love with Umbrian cuisine! And if you like truffles, you’re in the right town! Located in a small side street on Piazza del Commune, Pallotta is an OUTSTANDING family-run restaurant with an intimate vibe. The setting is simple yet elegant and the food is extraordinary, as is the wine selection. If you love truffles this is the place to order the strangozzi al tartufo (pasta with truffles), the cappellacci al miele di fossa (cappellacci with honey and cheese), pappardelle al ragout di anatra e mirtillii (pasta with duck ragout and cranberry sauce) and the best for last, the piccione ghiotto (pigeon). In Piazza Matteotti you’ll find that the best five-star hotel in Assisi also has a fantastic restaurant, the Eat Out Osteria. The setting is contemporary and relaxed and there is also a lovely terrace where you can eat out during the summer. The food here is healthy and simply exquisite. I recommend the linguine bio con carciofi e guanciale (organic pasta with artichokes and bacon), the burger di chianina con carciofi e ananas (chianina burger with artichokes and pineapples) and the pollo alla griglia e insalata verde (grilled chicken with green salad). The wine selection is also great. Located right in front of St. Francis’s Basilica, Osteria di San Francesco is a charming restaurant with a beautiful view of the Basilica. The setting is lovely and the atmosphere relaxed. The food id DELISH! The artichoke as a starter is wonderful, the risotto with truffles is yummy, the buckwheat lasagna with lentils is WOW and the tortelloni with ricotta, nuts and basil is delicious, as is the duck. They also have a good wine selection. Located at Piazza del Vescovado is this amazing restaurant where you will eat sophisticated modern Italian and Umbrian cuisine. 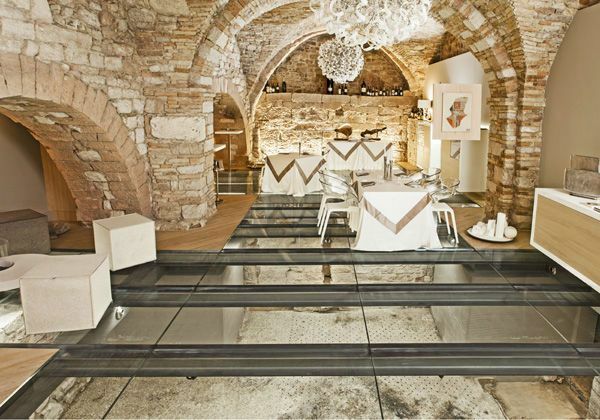 The restaurant is very characteristic as it’s set on top of the Roman ruins of Assisi and it features a glass floor that allows you to look at the ruins while you eat! It is a very suggestive place, with a delicious seasonal menu that cannot be missed! 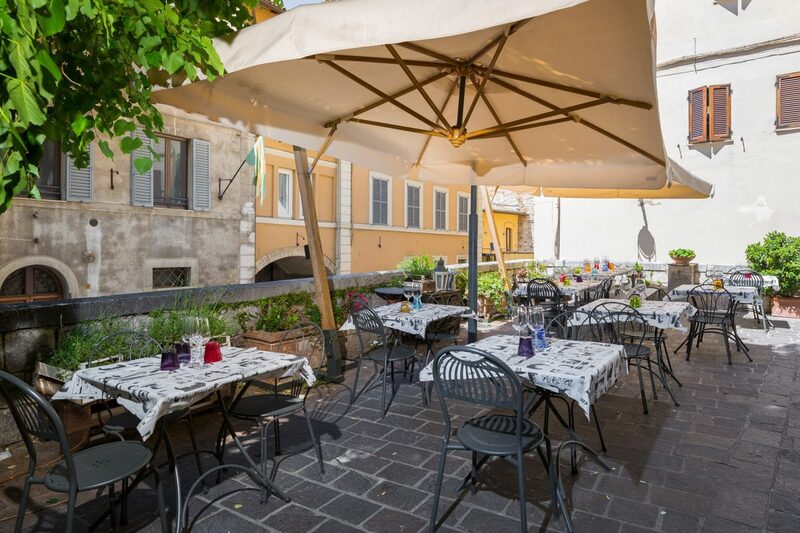 Just 100 meters from Piazza del Commune, you will find this restaurant with a lovely outdoor area. And for those that prefer dining indoor, a cozy dining room with vaulted ceilings awaits you! But it’s not just the shabby-chic setting that will catch your eye. 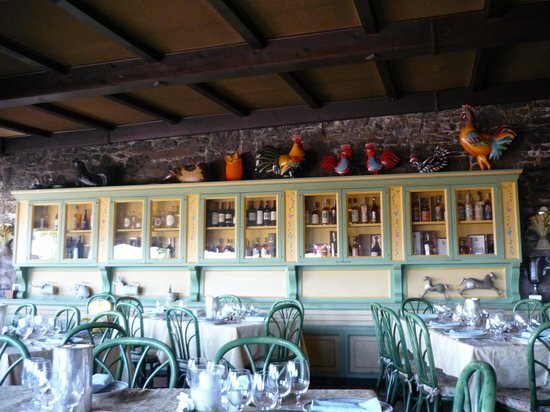 Once you glance at Osteria Piazzetta dell’Erba’s menu, you will be sold! You will be so sold that you will call to make a reservation for the same evening (hoping to find a table)! Order the zucchini flowers filled with anchovies and mozzarella in a zucchini sauce, the spectacular red shrimp tartare with stracciatella, passion fruit and carasau bread and definitely don’t miss out on the cockerel filled with lard and truffles with a potato cream. 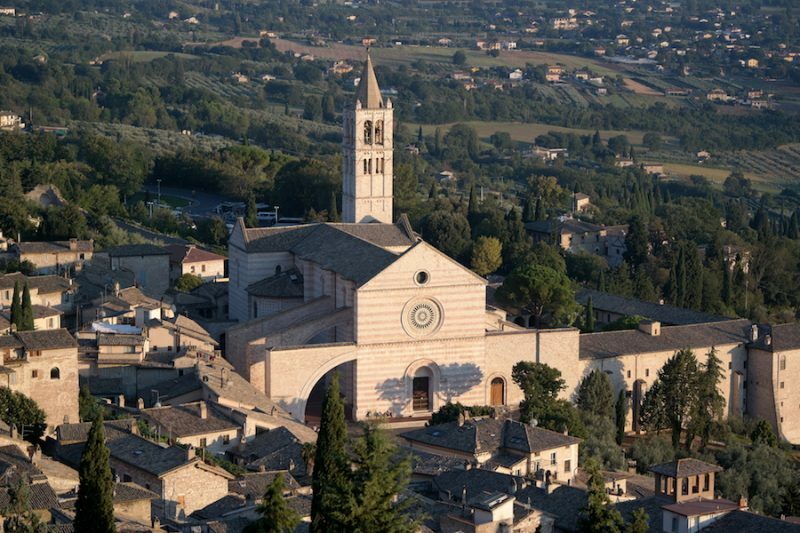 If you’re staying in Assisi, location is everything! 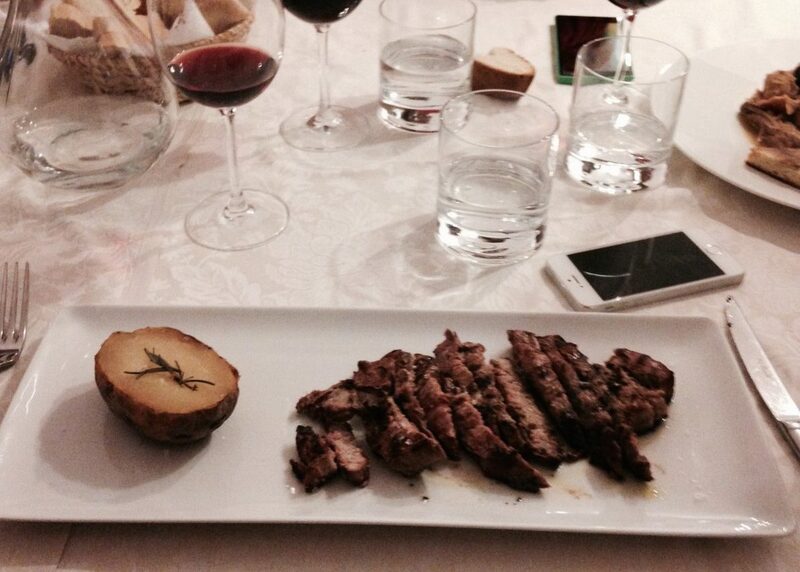 That’s why I recommend you stay in the centro storico – or historic center. Say goodbye to your car and parking nightmares, and say hello to beautiful walks exploring this stunning Umbrian town. 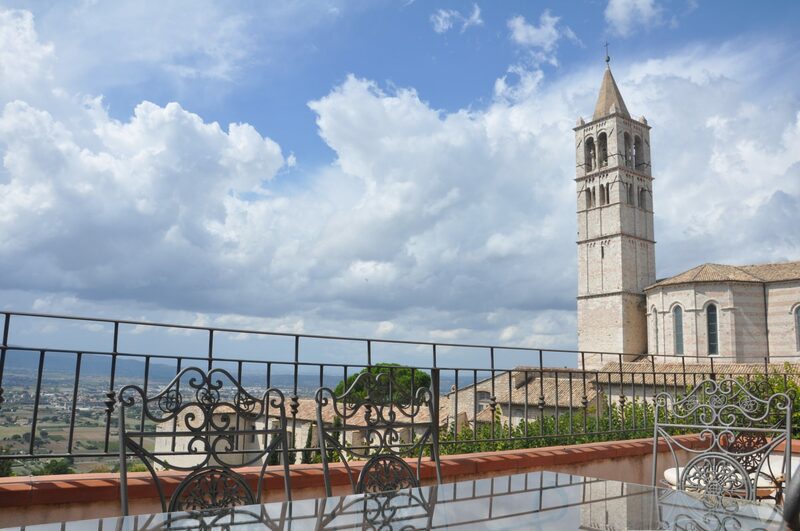 Check out this beautiful home in Assisi right in the centro storico offering unparalleled views of the Umbrian countryside and the bell-tower of Santa Maria.